Just a few months ago, Pixar fans were abuzz with the Vans series of Toy Story-themed shoes featuring exclusive designs of Bo Peep, Woody, and even Sid's Mutant Toys. Well, another Pixar fan wanted to find a way to bring his Toy Story fandom to the football field. 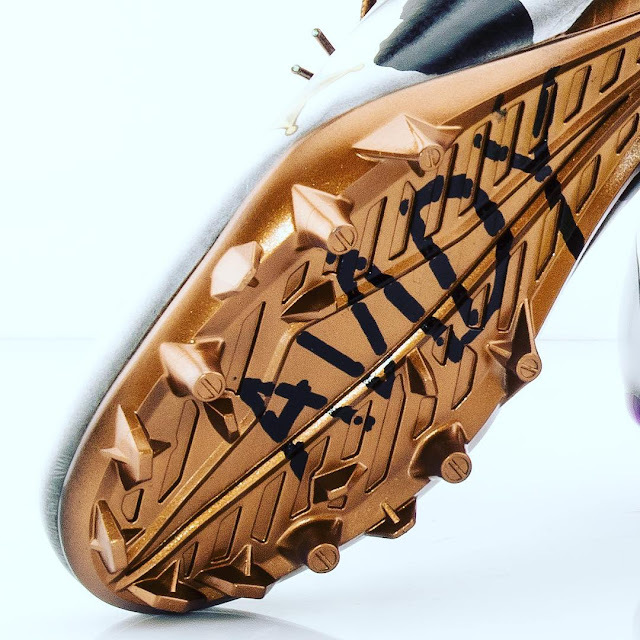 New York Giants wide receiver, Odell Beckham Jr. partnered with custom shoe artist, Kickasso (pronounced like Picasso) to create a pair of cleats which he could wear during the 2017 Pro Bowl (airing January 29 at 8:00 PM EST on ESPN). Check out more about the partnership between Kickasso and the NFL in this short look at his creation process from NFL Films. What do you think of Odell's cleats for the game? Leave a comment below. - How Perfect are These 'Toy Story' Pixar-Ball Kids Pajamas? 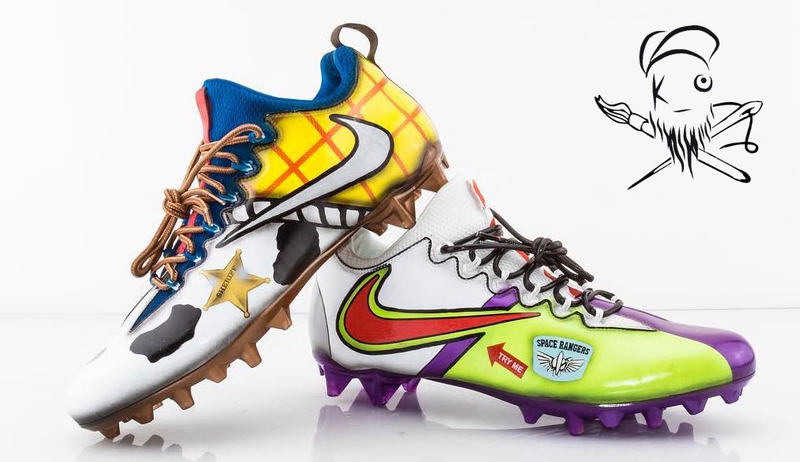 Check out these custom Buzz and Woody Toy Story themed cleats that Odell Beckham Jr. sported during the 2017 NFL Pro Bowl (created by Kickasso).